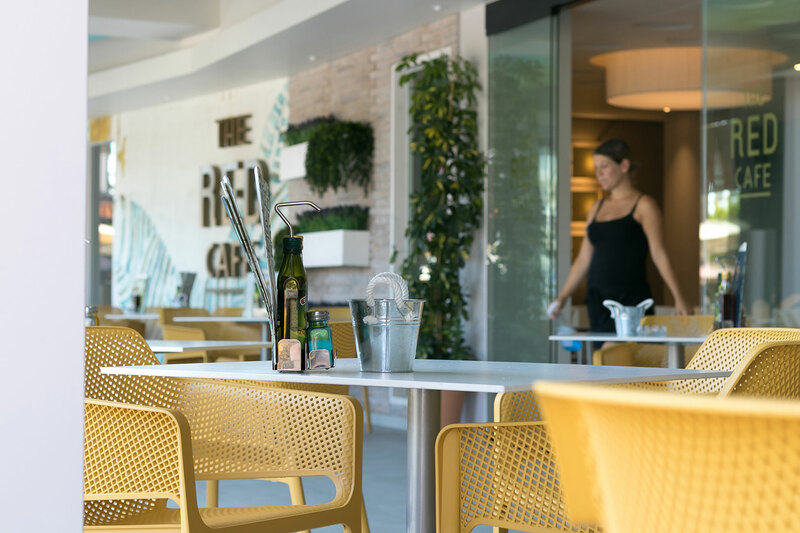 Our Cafe is located in the lower level of The Red Hotel, the place where you pick up the keys for the apartment. It can be accessed both by the front of the hotel as well as through the reception. 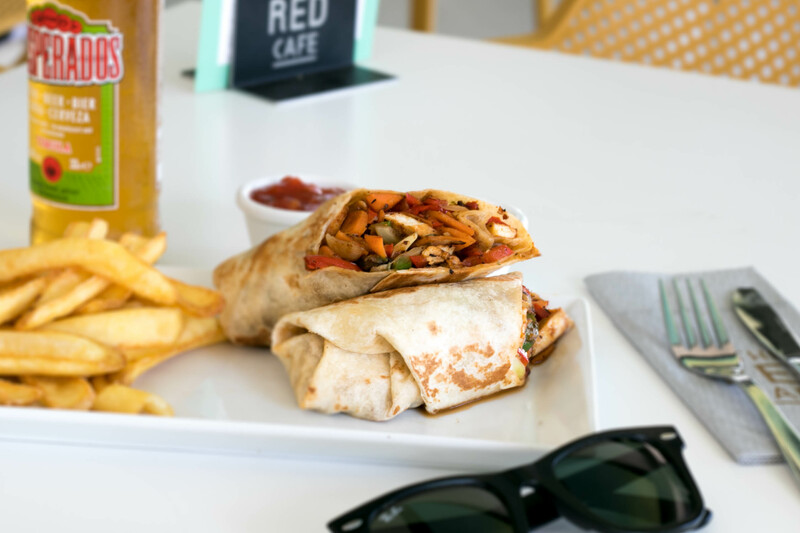 With a renovated interior, The Red Cafe establishes itself as a meeting point for San Antonio, where we offer something for all tastes whether it be a smooth espresso in the morning or being able to enjoy the wide variety of dishes from our menu. 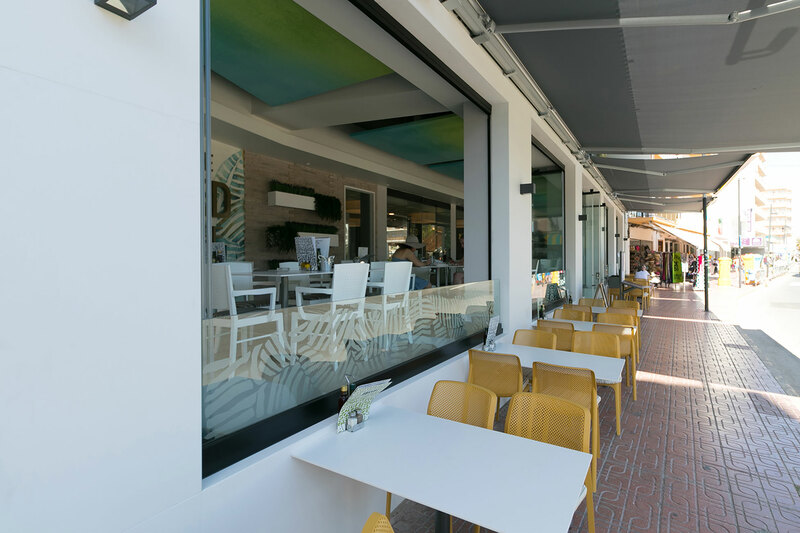 Whatever your plan may be, our terrace and the music will make your experience unique.